Some birds showed up on the TF2 blog and left presents for Robin and the TF2 team to clean up. This cryptic Valve puzzle put up a fight for our detective and computer science departments, but we eventually concluded that the bird images are clickable. Hidden behind the white goop is three images (so far). One of a broken, smoky hospital; another of an empty waiting area, also in a hospital; and a doctor’s office. It’s probably hinting at the long-awaited Meet the Medic video, but Valve is like the Machine of Death of trickery. You can investigate more at the official Team Fortress 2 blog. Vic: I’d also like to add that 78 static birds (doves) have been added to 21 of the TF2 maps. Shooting or touching these will make them explode, presumably in a shower of blood and lovely feathers. 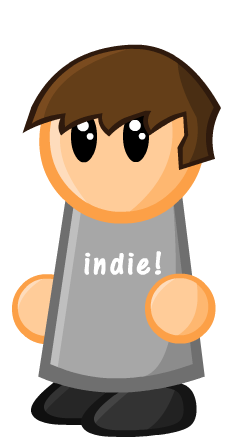 There’s also flying doves, that appear from the corpses or gibs of a killed player, usually Scouts. Doves have also appeared in a leaked Meet the Medic screenshot. I’d also like to add that 78 static birds (doves) have been added to 21 of the TF2 maps. Shooting or touching these will make them explode, presumably in a shower of blood and lovely feathers. There’s also flying doves, that appear from the corpses or gibs of a killed player, usually Scouts. 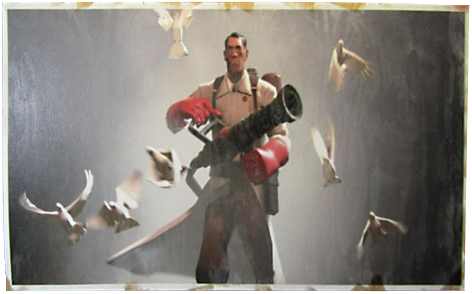 Doves have also appeared in a leaked Meet the Medic screenshot. Thanks for adding that to the article. I haven’t popped into TF2 lately, so I haven’t seen that. This had better be so worth the wait that it actually comes with a commentary track where Gabe Newell expresses his hope that it was worth the wait. People be getting crazy tonight!